Impact by sugar cane cultivation - guenter-gunkel2s Webseite! 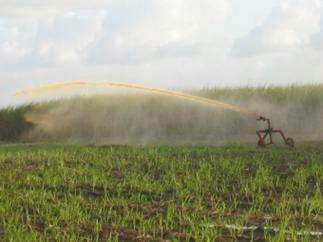 The cultivation of sugar cane using the fertirrigation technique (use of waste water of sugar cane industry for irrigation, = vinasse) leads to an extreme impact to nature, among else to contamination of soil, ground water and surface water as well as to an extreme development of E. coli. The reason for this is the high residual sugar content of the waste water as well as an accumulation of potassium. The COD is about 20.000 mg/L, thus bio alcohol production has a strong impact on aquatic systems and ground water.